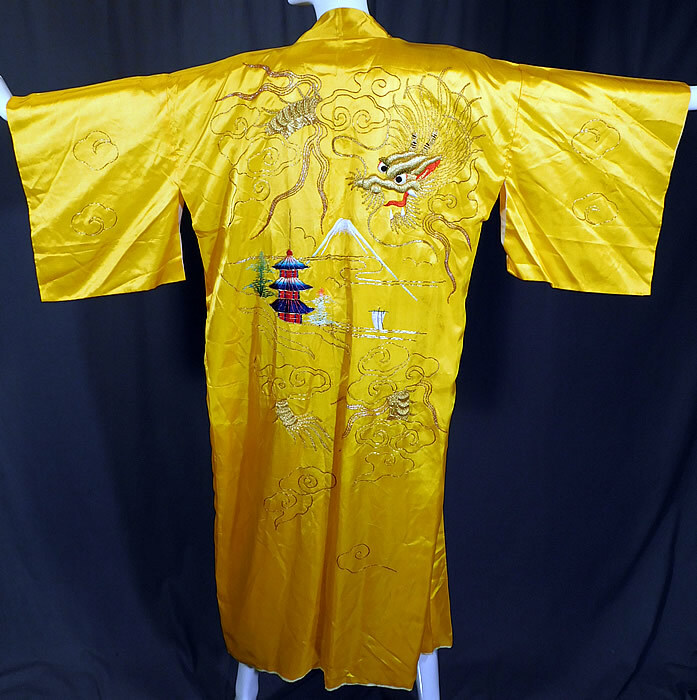 This vintage WWII Japanese gold couching embroidery dragon yellow kimono robe dates from the 1940s. 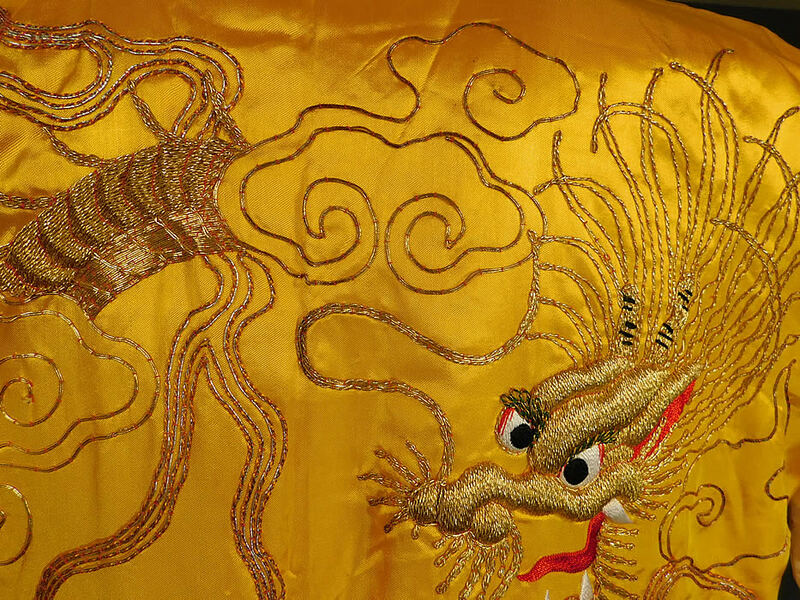 It is made of a bright yellow silk rayon blend fabric, with gold metallic thread couching embroidery work, which tiny red stitches hold the couching work together giving it a contrasting copper color appearance. 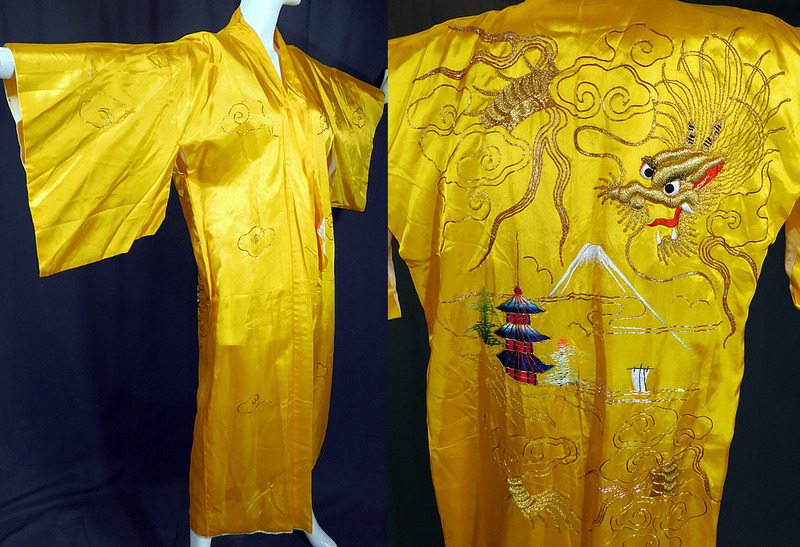 There are gold embroidered smoke clouds on the front, sleeves and a large dragon on the back looking down on Mount Fuji, a pagoda temple shrine and boat. 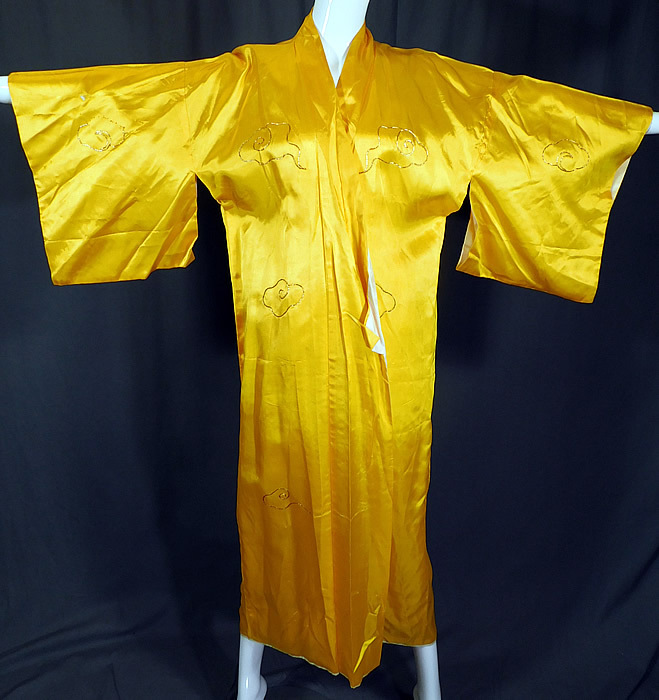 This WWII souvenir Japanese dragon kimono robe has wide kimono sleeves, an open front with no closure and is fully lined in a white fabric. The robe measures 52 inches long, with a 42 inches chest, 42 inch waist and 26 inch back seam. 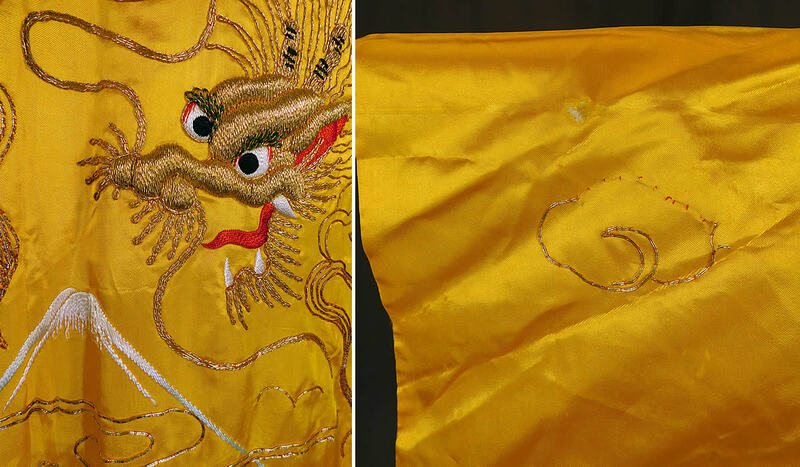 It is in good as-is condition with only a small frayed hole on one sleeve with some missing gold threads on the smoke cloud (see close-up). 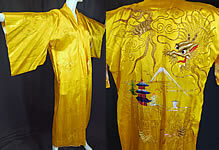 This is truly a wonderful piece of Japanese kimono wearable art!